There are no strict rules controlled by government legislation surrounding dealing with a leaking roof and applying an emergency roof repair. However there are several rules which should be adhered to for your own safety. After all, an emergency roof repair is usually because your roof has started leaking in a storm; but this does not mean you have to perform the repair instantly. It is worth noting that there are many professional roofing firms which will happily install an emergency roof repair to protect your home until you can get an insurance claim processed. 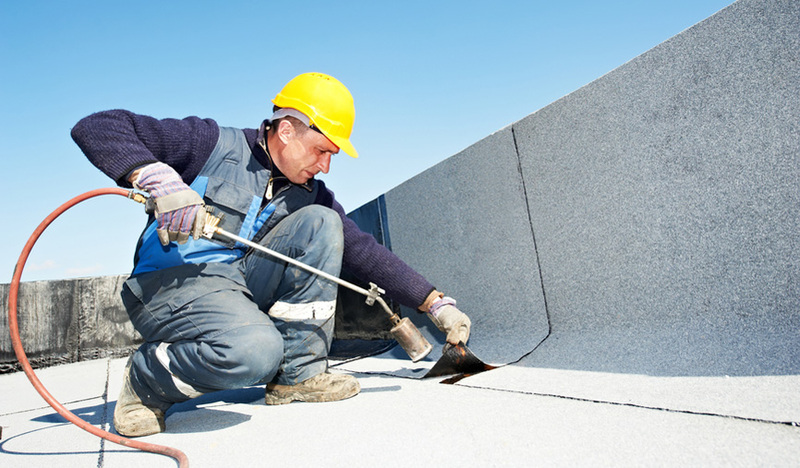 The Canadian based firm King Koating Roofing offers an emergency roofing service which is designed to provide a competent, complete repair or an emergency repair depending upon your situation and needs. If your roof has been damaged in a storm then it can be covered by your insurance company. This means you need to perform an emergency roof repair and not try to fix the damaged roof. If you attempt to fix it you may invalidate any claim as it can look like you caused the damage. If you are unsure how to perform an emergency roof repair then don’t do one! Never go onto your roof during the storm; even though this is when you are likely to have found out that you have an issue. It is better to have a little wet in your home, which should be caught in buckets and bowls than it is to spend months in the hospital. Once the weather has improved you will be able to install your emergency roof repair whilst you wait for it to be resolved properly. Do not be tempted to think you can complete the temporary repair from the ground. Tarpaulin makes an excellent sail; it will catch the wind and can even lift you into the sky. Again, it is not worth the risk; wait until the weather is good enough to complete the repair and, ideally, have at least one person on standby to help you. If you are not familiar with roof construction it is easy to create more damage on your roof whilst attempting to perform an emergency roof repair. If you are not confident with heights or being on the roof then a roofing contractor can perform the emergency repair for you; you will be surprised at how little they charge. In fact, many of them will deduct the labour charge for the emergency repair from your roof replacement bill; providing they complete the roof repair for the insurance company. Finally, if you are not familiar with roofing issues it is highly possible that your temporary repair will be ineffective. Even if you follow a guide you may struggle to get it right. In many cases you may find it preferable to ask a roofing contractor to complete the job for you.